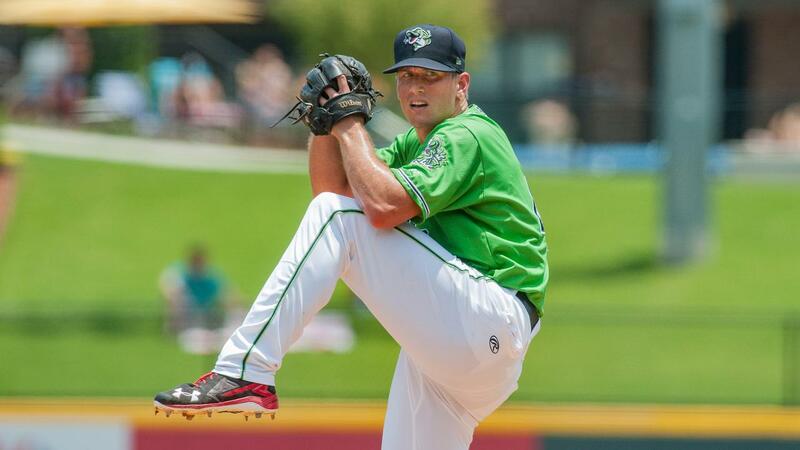 LAWRENCEVILLE, Ga. - Gwinnett Stripers right-hander Lucas Sims has been named the International League Pitcher of the Week for July 2-8, the league office announced Monday. Sims, 24, went 0-0 with a 0.00 ERA (0 ER in 14.0 IP) in two starts during the week, allowing just four hits and no walks while striking out a league-high 19 batters. He also led IL pitchers in WHIP (0.29), ERA (T-1st, 0.00) and innings (T-1st, 14.0), and ranked second in lowest opponent batting average (.093). Both of his starts were 7.0-inning scoreless efforts, July 3 at Durham (ND, 7.0 IP, 2 H, 0 R, 0 BB, tied career high with 11 SO) and July 8 vs. Charlotte (ND, 7.0 IP, 2 H, 0 R, 0 BB, 8 SO). Sims, the first Lawrenceville native to play for Gwinnett, is 4-2 with a 2.04 ERA (14 ER in 61.2 IP) in 12 games (11 starts) with the Stripers this season. He has also made six relief appearances for the Atlanta Braves, going 0-0 with a 7.84 ERA (9 ER in 10.1 IP). It is the second career IL weekly award for Sims, who was also named the IL Pitcher of the Week for April 17-23, 2017. He is the third Gwinnett player to win an IL weekly award this season, joining Dustin Peterson (IL Batter of the Week for April 23-29) and Danny Santana (IL Batter of the Week for May 21-27). The Stripers are off for the Triple-A All-Star Break through Wednesday and return to action Thursday, July 12 with the opener of a four-game road series at the Norfolk Tides. First pitch at Harbor Park is scheduled for 7:05 p.m. Dave Lezotte will have the play-by-play call on 97.7 FM and 93.5 FM The Other Side of the River beginning at 6:35 p.m.